Kennedy Park had been a place for us to bring the children when they were young; it had plenty of room for them to walk freely, the pathways suited prams and buggies; it had ducks; there was no traffic and it was very safe. 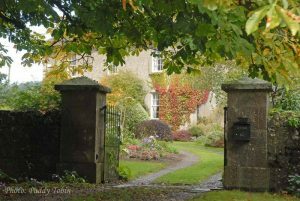 However, as they grew, our visits became more and more infrequent so a suggestion that we should go there for a walk last Sunday came out of the blue and brought us back the years. The arboretum was established as a memorial for President John F. Kennedy and was financed by contributions from Irish Americans and by the Irish government. The ancestral home of the Kennedys is in Dunganstown, outside New Ross, and the site selected for the park was on the slopes of Slieve Coillte only a few miles away, so a fitting location. The park was established with three objectives: 1. To establish an arboretum – a comprehensive and scientifically laid out collection of trees; 2. To establish a series of forest plots to research the suitability of trees for use in forestry and 3. To establish an amenity park where people could enjoy the outdoors and appreciate the beauty of trees. The main circuit of the park, well surfaced and easy for walking. There are smaller pathways all along the route. The park – I am inclined to refer to it as “Kennedy Park” though I notice it is now signposted as “The JFK Arboretum” – extends to about 620 acres and is laid out with surfaced walkways and pathways with adequate carpark, a reception area, picnic area, coffee shop, children’s play area, large pond and a miniature railway. The viewing point at Slieve Coillte which is 630 feet above sea level is conveniently accessed by road and gives views over Counties Wexford and Waterford, to the Saltee Islands, to the confluence to the Rivers Suir, Nore and Barrow and to the Comeragh Mountains. 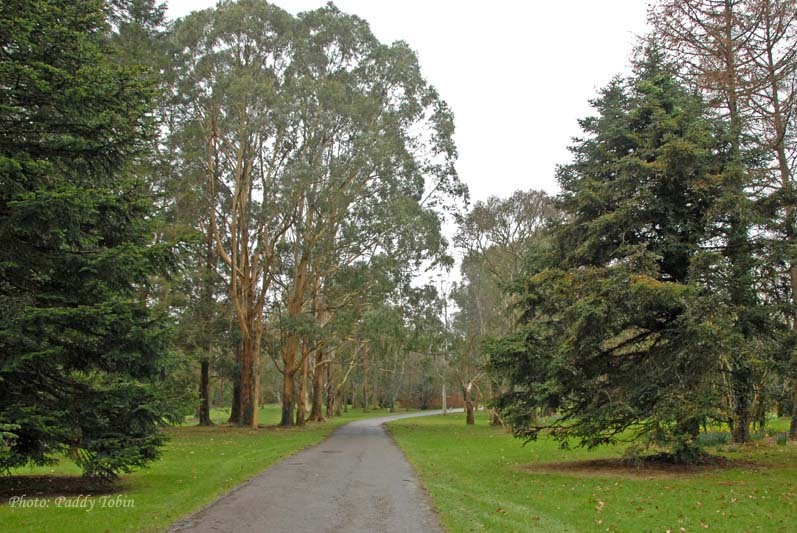 The arboretum has a collection of approximately 4,500 trees and shrubs and there are about 200 forestry plots. The reception area has informative displays though, I must be honest, I have only ever viewed them when caught by inclement weather as I always preferred to walk the park. The lake has always been a great attraction for visitors, especially children, who have enjoyed the ducks where are present in large numbers and are quite tame – anything for an easy meal. A peaceful place for family walks. It was interesting to return to Kennedy Park after an interval of many years and my reactions to the experience varied. Much was as it had always been – trees are long-lived plants so the general shape of the park was as I had remembered it. It was obvious that renewal and renovation work was being undertaken – groups of trees which when small were planted in big numbers to make an impression were now being thinned out to allow the better specimens to grow with more space to show their natural shape better. By contrast, there are display beds of shrubs through the garden and many of these could do with some rejuvenation. Those with berberis and chaenomeles, for example, are very overgrown and the labelling has been lost. There was a delightful large planting of the old Narcissus ‘Van Sion’ or N. telemonius plenus as it was also called and similar large plantings of daffodils would add greatly to the amenity value of the park at this time of year. It would seem that work is in hand to rejuvenate the arboretum and I hope it continues apace as the park is a very popular location for visitors. The very popular planting companions of slow-growing conifers and heathers of the seventies still look well here. Last Sunday’s visit brought back one important family memory. When visiting the garden in March 1982, Mary took our eldest son out of the car, put him standing on the ground and he took his first steps. It is time to bring the grandchildren to visit, I think. He’s excited! Don’t the cars look so old-fashioned! And the quality of the photographs has improved also. Mr. Tobin, I have been so enjoying your recent postings, and I single those out only because I have so recently subscribed. I have no doubt when I go back, I shall find others to enjoy. I look forward to the next. Thank you ever so much for such kind comments.